Tonight I’m going to a session hosted by PERL (UMW’s all-female computer science club) and the computer science department. I have to leave class a bit early in order to get there on time, so I’m going to blog about it as part of my project. Plus, I think it’s a very relevant issue for beginning programmers to take note of, as well as any other member of the field. I’m planning to write about what I hear tonight, and maybe I’ll compare their experiences to my own. It’s at 7 PM in Trinkle B6. There’s free snacks and stuff. I know you took algebra in middle school. This means the same thing, “greater than,” and is used to compare two values. Same thing. This one means "less than." This is the same thing as the > with a line under it, which you’ve probably seen before. "Less than or equal to." And this is the same thing as the < with a line under it, as you probably guessed. This is probably the first one that you don't recognize. The exclamation point, sometimes called "bang" in computer science jargon, is the symbol for "not." Note that both of these conditions MUST be true in order for the next line to happen. If you like to have fun but you hate what I talk about in my tutorials, don't bother majoring in computer science. If you never show up for class but you study lots, you might just pass. Yes, I know these examples aren't that great, but if you'd like then I can pull out my old discrete math textbook and find you some better ones that will give you a good idea of how these logic things work. //Note that you can compare more than two things, like in this example. Unlike the &&, only ONE of these conditions has to be true. Both and/or all of them can be true, but it's not necessary in order for the second line's conditions to be true or carried out. I know that this post doesn't have much in it words-wise, but comparisons are actually pretty important for what you're going to be doing. Make sure you're familiar with them, and post comments if you want better examples or if anything is unclear. Most people are under the impression that linguists are always fluent in dozens of languages. Some of them actually are, but not all of us. I used to be very good with Latin back when it was my major, but I’ve recently started to stumble over words that I swear I knew when I was in 8th grade. I’ve sadly come to the conclusion that the old saying, “use it or lose it,” is too true. And you know what? I think I’ll read some Latin tonight. I was going to write something awesome about what computer programming really is, but I honestly don’t think it’s necessary. Computer programming is all about writing algorithms. Computer programming is the art of bossing computers around. Computer programming is fun, challenging, and something everyone should try. Lucky Seven is a very easy game to play (If you’re clever, you can guess the number just about every time–but it can be made more difficult.) and a very easy game to code. It’s not even a lot of code. If I finish the tutorial before the class ends, I’m sure I can pull some other fun projects from my sleeves. These are just some pictures that I like that I took from Flickr. As you can tell, I really like animals. I love to photograph my dogs and horses especially, but I can never take good pictures of my fish, so I’m really jealous of people who’ve mastered the art of taking pictures of moving animals underwater. I think that’s why I saw so many fish pictures that I liked (more than this, but the post got long enough). 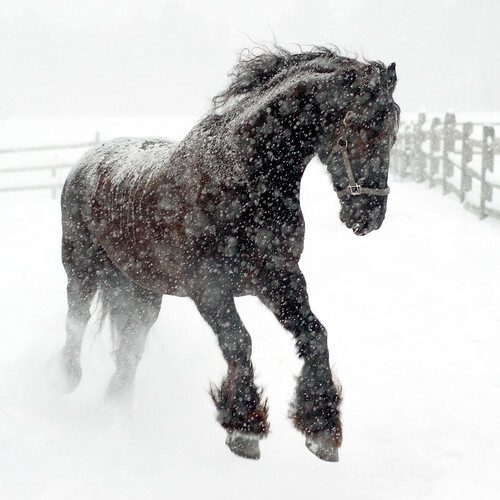 I love horses playing in fields and in snow. The horse is a dark bay, but the snow makes him look flecked. He stands out against the snow, and it’s just really fun to see him leaping into the air. For some reason, this one didn’t want to show up. I just put a link. And I swear I’m not trying to Rick Roll you again. And I also love good pictures of people falling from their horses. No, I’m not a sadist. There’s just something about catching such a brief, unexpected moment and doing it well. I’ve been riding and training horses long enough that I’ve had some pretty epic falls, and seeing photos like this makes me think about that brief moment where your mind is racing to prepare for impact and you feel like you’re defying gravity and just hanging in the air. They actually give me a sort of “hanging” feeling. This one is also a little different because, if you don’t look closely, you might first think that it’s just a picture of a woman jumping her horse. You have to look a second time to see that she’s bracing her arms against her horse’s arching neck with no contact on the saddle. The swinging stirrup leather and gleaming iron was the first thing that gave it away. 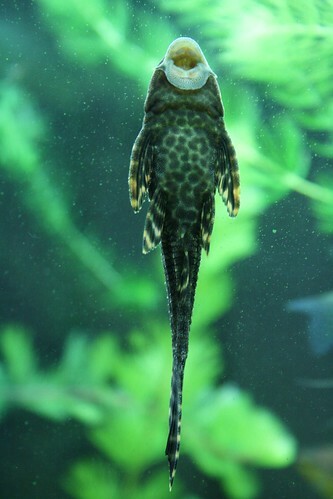 Green spotted puffer fish are such cute fish, it’s hard not to love their comical faces. They’re also such a pretty, unique color. 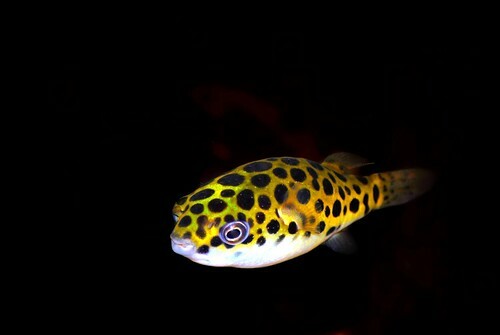 I love how this one is on a completely black background, which seems to bring out his spots and enhance his color. Awwwwww. For whatever reason, this one didn’t show up either, so there’s a link. I love how the dog’s brown spots are almost the same color as the wooden floor. I also like how the water is dripping and the dog is licking it up. His pink tongue is cute 🙂 The drops also divide the picture, and the nails in the floor do the same. They intersect, and I just think it’s really interesting for some reason. February 14, 2010–Studied for Data Structures exam…on Valentines’ Day. February 15, 2010–Got up at 6:30 AM and went to the Unix lab to work on some code. It wouldn’t compile. Again. February 16, 2010–Someone in my Data Structures class followed up on that promise to burn the Unix lab to the ground if his project didn’t compile. Maybe not quite like that (much more content, hopefully nothing as silly as some of the ideas I already have), but that’s the main idea. If that doesn’t work out for me, I thought I might just do a set of nonfiction (probably how-to) posts relating to some topic that I’ll think of in the future. Now I just have to either find the code for the game or write it again (hopefully I can find it :)) and split it into chunks.